This isn’t the first time IK has offered this sort of “models of everything” approach. But this time, there’s a ground-up approach to modeling original analog circuits, combined with sampling – new engine, new presets. And since there’s a free version, you don’t have to be afraid of commitment before you test drive. That technological explanation alone doesn’t say that much, though. Part of what makes any synth playable – whether that instrument is analog or digital, hardware or software – is the humans who worked on it. Erik Norlander, one of the lead sound designers of Syntronik project, makes a particularly special sound programmer. 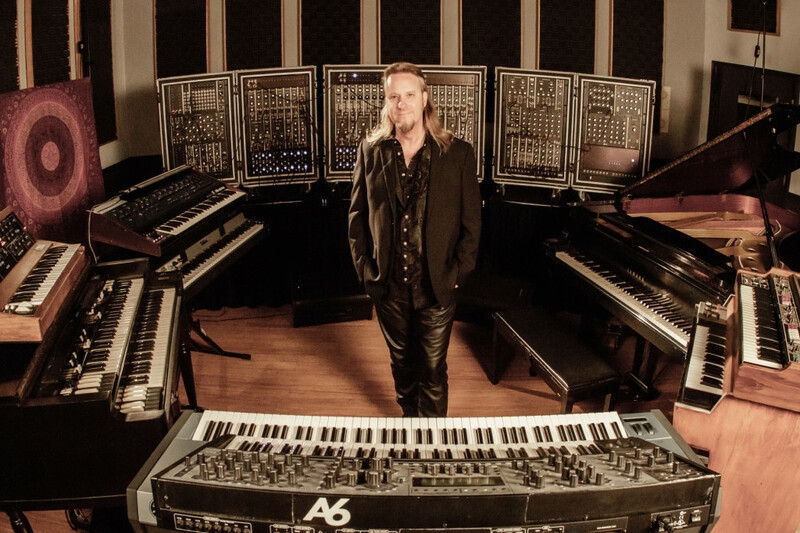 Norlander was the lead on the legendary, multitimbral Alesis Andromeda. When it was released in 2000, analog had largely been abandoned by the mass market – this is two years before even the Minimoog Voyager. In fact, it wouldn’t be a huge stretch to say the Andromeda was the instrument that changed the course of the industry (well, changed it back again, that is). Unique analog sounds and hands-on controls (rather than digital sound and menu diving) were finally back in the game, paired with a more modern architecture and pitch correction. That is, even if the Andromeda doesn’t trigger warm, fuzzy feelings, you can thank it at least in part for a lot of the character of synths today. I’ll even forgive Erik some bias and sales jargon here, because he’s got some points about the IK offering. To find out what he has to say, we’re going to try something different. Norlander and IK talked first to Japan’s ICON Magazine. Here, we have an edited, English-language edition of that interview. 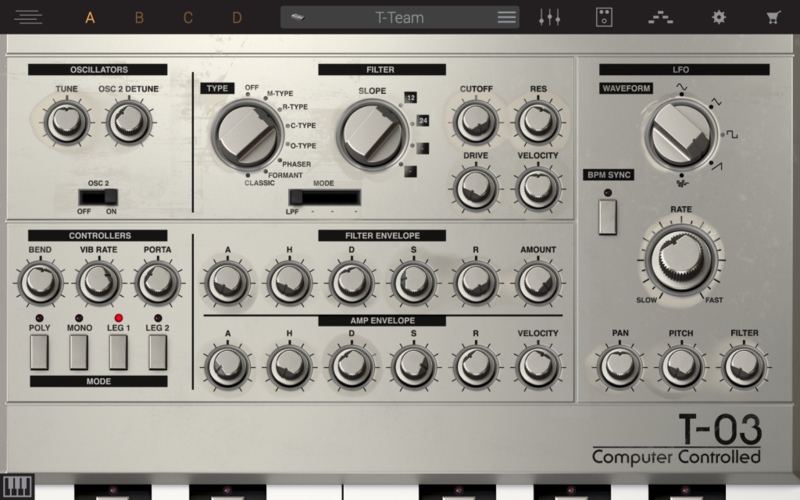 ICON: Why did you choose to release a vintage synthesizer and string machine instrument as the first virtual instrument after MODO BASS? Erik Norlander (EN): We want to be the total solution for virtual instruments. To reach this goal, IK has created major updates to our instrument product line, starting with SampleTank 3 in 2014. We released several SampleTank Custom Shop Instrument Collections after this, including the spectacular Cinematic Percussion and Brandenburg Piano. Then we released Miroslav Philharmonik 2, our orchestral / symphonic virtual instrument recording in Prague, along with the follow-on Orchestral Percussion Instrument Collection, recorded in Hollywood, California. MODO Bass is a brilliant product that had been in the works for many years, while developing this amazing new modeling technology. So, we have covered most acoustic instruments with SampleTank 3, Miroslav Philharmonik and the Custom Shop Instrument Collections, and electric bass with MODO Bass. The next logical step was a synthesizer product to provide our users with the best electronic sounds available. Rather than simply update SampleMoog or Sonik Synth, we took a different approach and made a completely new and far more extensive instrument called Syntronik. Syntronik combines the best of sampling and modeling to recreate our favorite classic synthesizers and take them even farther. ICON: IK Multimedia has been selling vintage synthesizer instruments like SampleMoog. What are the main differences between Syntronik and those vintage synthesizer instruments released in the past? EN:	First, we should establish that Syntronik is not just a vintage synthesizer instrument. 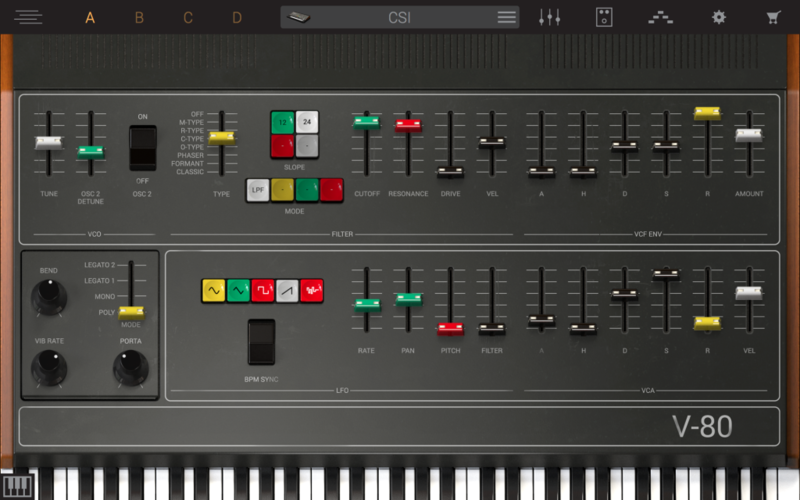 Of course you can get all of the vintage sounds, but Syntronik is a modern instrument intended for creating all kinds of music, including the latest cutting-edge pop and electronica. We have sampled 38 timeless, classic instruments that form the foundation of Syntronik, and then those get processed by our amazing IK modeling technology which includes both classic filter emulations and modern digital filters. Our new DRIFT algorithm adds life to our samples in a truly animated and compelling approach. We add to this an engineer’s dream collection of effects, including models of the famous Pultec, Urei, Teletronix, Fairchild EQs and limiters, guitar amps and modulation effects including our new Ensemble effect modeled especially for Syntronik. This one recreates the beautiful analog chorus-ensemble effects of the famous ARP String Ensemble, Roland Juno-60 and Roland string machines such as the RS-505 Paraphonic Ensemble. All of this puts Syntronik light years ahead of our past synthesizer products. 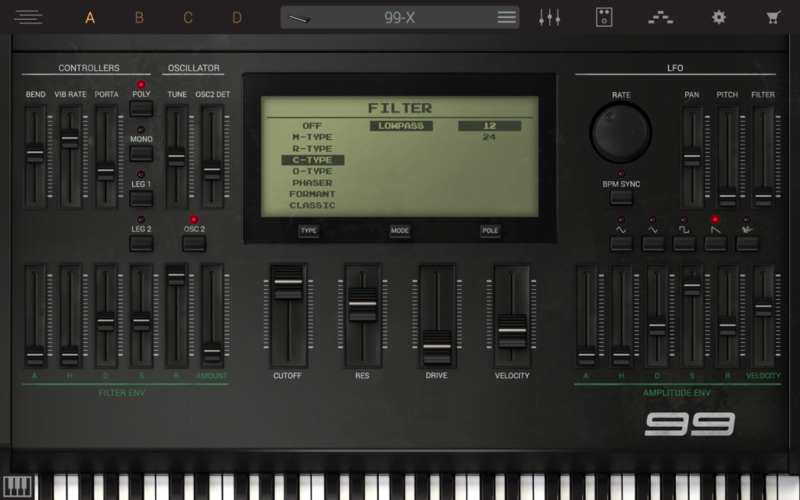 ICON: Syntronik is using sampling technology, apart from the modeling of filters and effects. Why didn’t you make it by 100% modeling like MODO BASS? EN:	IK is a leader in both sampling and modeling, and we chose to use the best of both worlds for Syntronik. We have found that the best way to truly capture and recreate the sound of classic analog hardware is to sample it using our finely-tuned recording techniques and editing workflow that has been developed over decades. Modeling can give you more flexibility in some cases, but there is nothing like hearing an audiophile sample of the actual instrument. 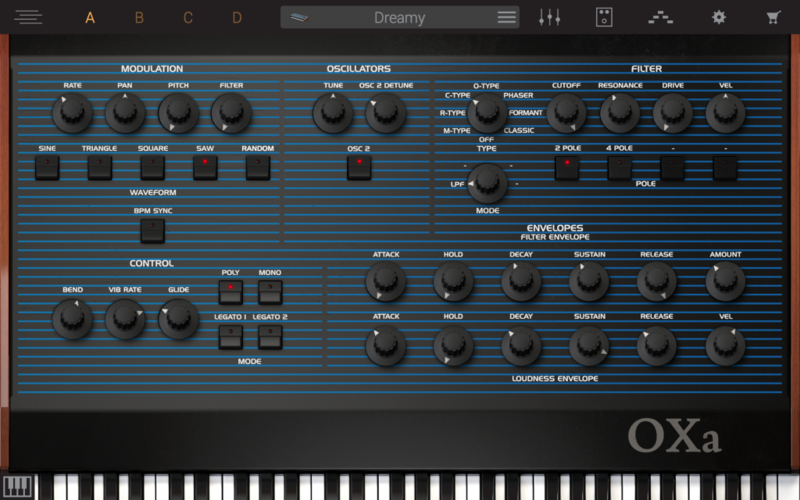 When you hear our samples of the Oberheim OB-X, it really sounds just like an Oberheim OB-X. Because it is an OB-X. The tone is undeniable. Our DRIFT algorithm removes many of the limitations of sample playback, and the modeled filters and effects add a further dimension. ICON: How did you choose 38 instruments? Do we have a plan to expand it with more instruments? EN:	We started with the ten most famous classic synthesizers, the Minimoog, the Prophet-5, the CS-80, the SEM, etc. and then we expanded on that base to add related instruments like the Multimoog, Micromoog, Prodigy, Rogue and similar synths that are less known but still sound amazing. 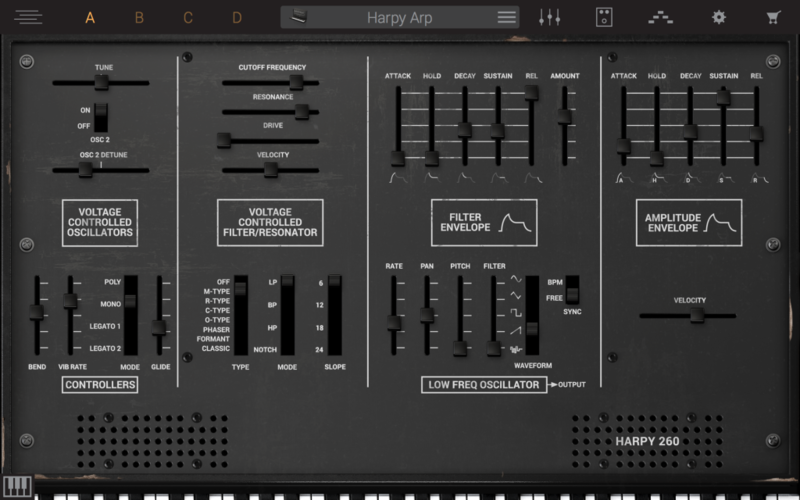 In the case of our String Box synth, we started with the most famous string machine, the ARP String Ensemble. Then we expanded that synth with other great string machines, like the Roland RS-505 and RS-09, the Elka Rhapsody, Hohner String Performer, and Univox Multiman, which is a variant of the famous Crumar Orchestrator. We started out with a smaller set, but we just kept adding synths because they sounded so great, and it made sense in the context of the product. ICON: How did you have those 38 instruments themselves? Were they owned by IK? Or are some of them rented from someone? EN:	I own most of the hardware instruments as you can see in the photo on our Syntronik product page on the IK web site. I sampled a few rarities like the Yamaha GX-1 and then the tiny CS-01 (incidentally, the biggest and smallest synths in the collection!) during other sessions over the years when I could find the opportunity. ICON: Are all samples included in Syntronik new? Or are you using some samples from previous products like SampleMoog? EN:	98% of the samples are new. We included some legacy sounds from SampleMoog that I recorded several years ago that we felt were good enough to include in Syntronik. And in some cases, we even went back to the original recording sessions of the SampleMoog material and made larger versions of the keymaps. ICON: What is the bit depth / sample resolution, — bits/–kHz? Are you using Pro Tools | HDX to record those samples? Could you also tell us which A/D converter are you using? EN:	All of the samples were recorded into MOTU Digital Performer, and the original sessions were done at the highest resolution available. Some downsampling was done in some cases to create more manageable file sizes, where there was no perceivable audio quality loss. In the case of bit depth, in general, the looped, sustaining samples are at 16-bit, since they do not have more amplitude resolution than that and it would be a waste of disk space and memory to keep all 24 bits of data. Our Syntronik internal audio path is 32-bit, so our envelopes have more dynamic range than any DAC can even reproduce! So when our envelopes decay a looped sample to silence, it is with extreme dynamic resolution. Then for the samples that decay to silence, we kept them at 24-bit to preserve the full dynamic range of the sampled analog decays. ICON: Please explain what is the Drift technology. EN:	DRIFT is a very sophisticated algorithm that the IK team developed after over a year of transcontinental discussions. We debated what it should do, what it should not do, how to do it, and how not to do it. DRIFT modulates multiple aspects of the sound to authentically recreate the behavior of free running oscillators. On an analog synth, the oscillators are running all the time. It is the envelope that gates them on and off. So unlike a digital sample, the waveform does not always start at a zero crossing. The synth envelope will often catch the wave in the middle or somewhere else in its cycle. Simple sample start point modulation doesn’t quite work for this, because you get clicks when a sample starts far away from its zero crossing, so some kind of smoothing is necessary to recreate the rise time of an analog VCA. Then there’s the famous pitch drifting of analog oscillators that cannot be duplicated by a simple LFO. So using everything we know about sampling and modeling, we came up with an algorithm that combines multiple treatments to a sample to give it the organic life and animation of an analog oscillator. It’s proprietary technology, so I can’t go into more detail than that. But suffice it to say, it sounds amazing. ICON: When did you start developing Syntronik? What are the biggest challenges to finish making it? EN:	It took less than a year from the time we conceived the product to the time it was released. But we’re building on 20 years of IK Multimedia technology, so we had some pretty amazing resources at our disposal. In this sense, it was not like starting from zero. And many of the samples come from a private, unreleased library that I have been crafting over many years. I was looking for the best time and platform to release the the library, and Syntronik is it. 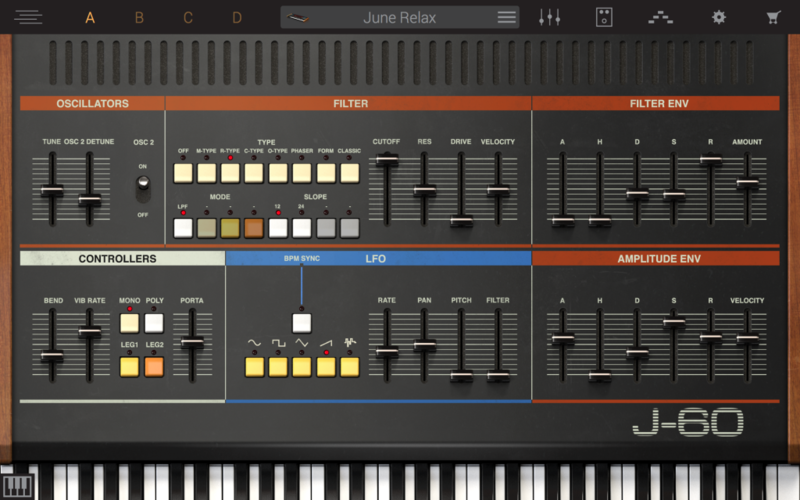 ICON: There are many virtual instruments of vintage synthesizers in the market. What are the main advantage of Syntronik over those products? EN:	There are so many excellent virtual synthesizers. We love the Spectrasonics, Arturia and UVI products, and so many others. But comparing Syntronik to these is like comparing a Ferrari to a Porsche, or comparing a California Cabernet to an Italian Barbera. They are different approaches borne from different visions and different inspirations. We set out to capture the feel, the style, the essence of our favorite classic synthesizers with a specific sonic intention and present them in a powerful, easy-to-use virtual instrument that would put the real sound of 38 amazing instruments at your fingertips. I really think we achieved that. ICON: Propellerhead announced to stop selling ReBirth-338 due to some intellectual property issues. We see the names of synthesizers in Syntronik pages. Aren’t you worried about the intellectual property issues? EN:	We are tremendously respectful of the original hardware manufacturers. 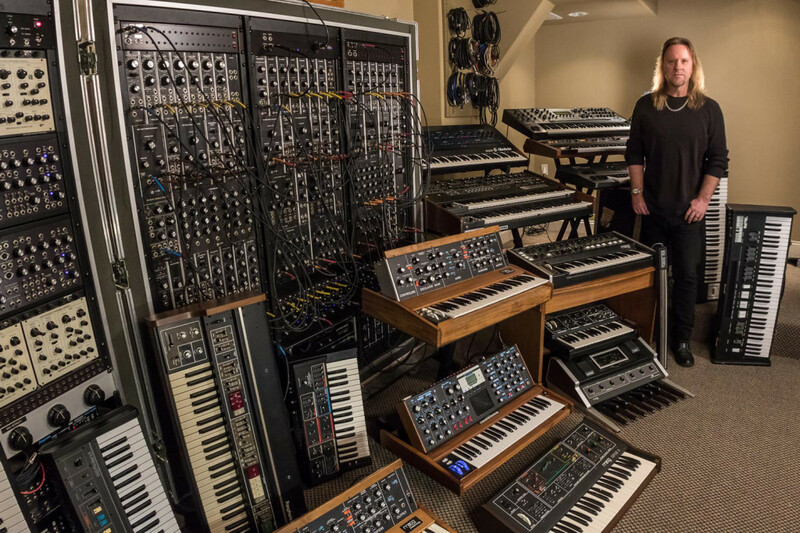 Moog Music has of course been a partner with us in the past, and we have the highest regard for them as well as Roland, Yamaha, Dave Smith and Sequential, Tom Oberheim and his companies, Wolfgang Palm and PPG, and all the rest. I was the original product manager for the Alesis Andromeda hardware synth, so naturally I have tremendous respect for that brand and product. Our GUIs are all homages to these great hardware synths. They provide visual elements that harken back to the originals and give you the feeling of those great hardware instruments, but they are most definitely not copies of the original designs. And you will never see us using the term “Jupiter” or “Juno” in the product. We have also been very thorough with our legal disclaimers to state who owns which trademark and to clarify non-affiliation when appropriate. ICON: What’s behind the name Syntronik? EN:	It is the logical next step from our “Philharmonik” product. Both of these instruments end in “ik” which of course is a reference to IK Multimedia. So Philharmonik is the orchestral instrument, and Syntronik is the electronic instrument. Who knows, there may be more of this theme to explore. And in the case of the “Syn” part, this very much follows Bob Moog’s excellent definition of synthesis meaning simply “many parts.” In our case, the “many parts” are the samples, the modeling, the effects and the super-user-friendly graphical experience. “Syn” here does NOT imply “synthetic” — the opposite of organic — or “artificial” in any way. Syntronik is very much a living, breathing musical instrument full of expression and animation. ICON: Syntronik can be used as SampleTank 3 expansion instruments. 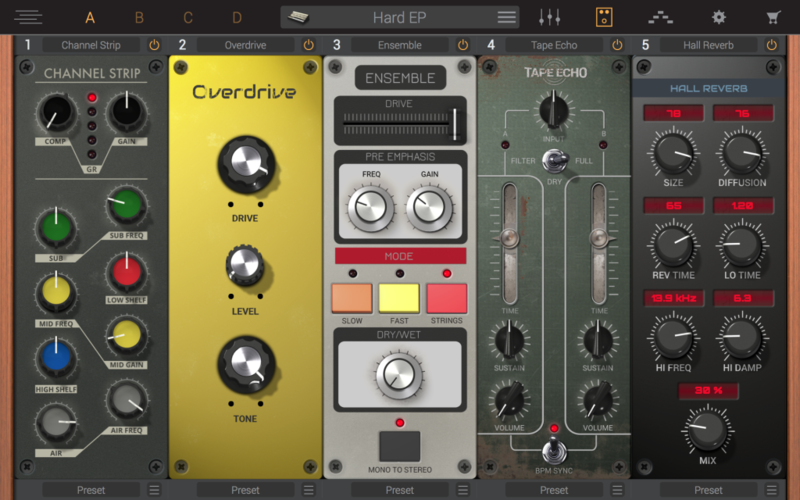 Do you have a plan to publish an open SDK so that third party developers can make SampleTank 3 instruments, Native Instruments KONTAKT and UVI Engine? EN: We are discussing this, and there is a good possibility that we will open up the platform at some point. ICON: Can you tell us a bit of the update roadmap of Syntronik? EN: You can of course purchase the full version, which I recommend. The 17 synths in the product were all chosen to be complementary, and we don’t expect any one synth to provide every synth sound you would want. But you can start with Syntronik Free which includes 50 instruments and 1GB of samples. It is truly free, and it is fully functional — there are no limitations in the functionality, it is only the samples and instrument count that is reduced. And the free version is pretty spectacular, I have to say! If anyone has any doubts about the product, please try the free version, which will give you a very good feeling of the full product. 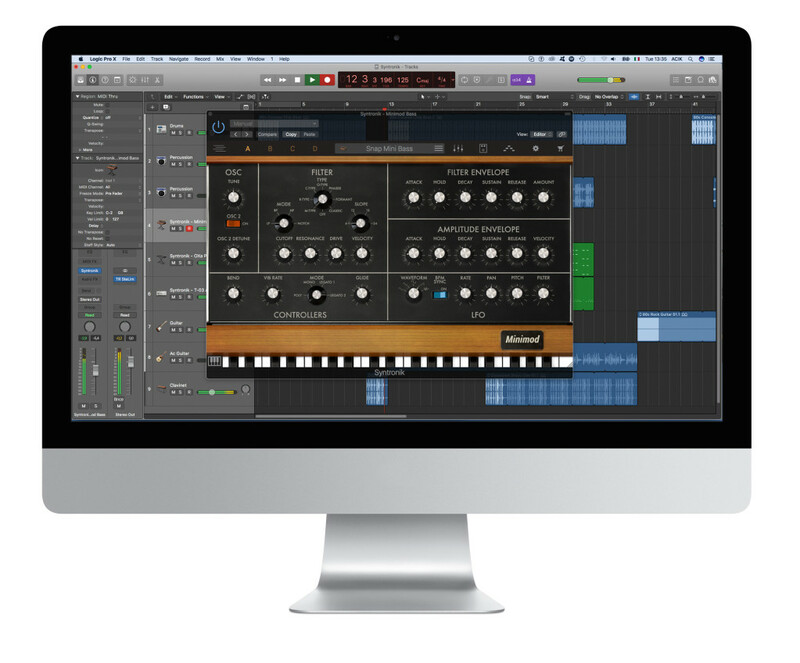 With the free version, you can purchase individual synths, any of the 17, and custom-build your own library. So, if you only are interested in Roland® TB-303-style synth bass sounds or Moog Taurus® pedal-like timbres, you can buy just the T-03 or Bully synths. ICON: Lastly, please give us a message for IK Multimedia fans in Japan. EN: Syntronik was a lot of work to create, and it required some very heavy lifting on every side, from the recording to the editing to the modeling to GUI developing to the coding. But it was an exciting and rewarding project, truly a labor of love for all involved. We have a really inspired vision for this product, and we can’t wait for our musicians friends in Japan to play our beautiful instrument. We look forward to hearing the wonderful music you will make with our instrument, and we hope that it inspires you as much as it has inspired us.